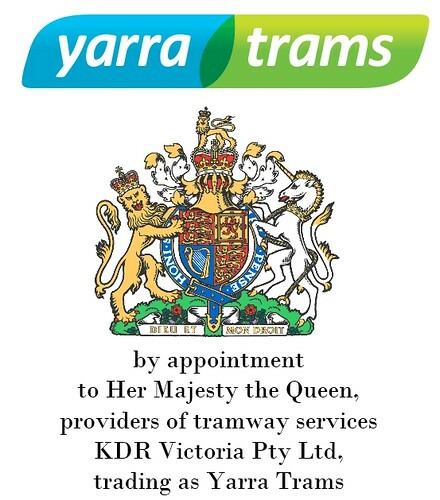 Maybe after tomorrow, this could be the new Yarra Trams logo? 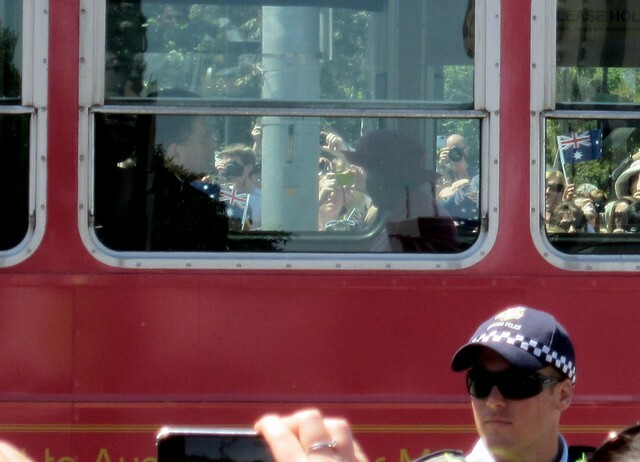 Update Wednesday 6:30pm: There you go, here’s my best pic of the Queen in the tram. Not great I know; she was on the opposite side and facing the other way. Lots of pics at The Age and Herald Sun. 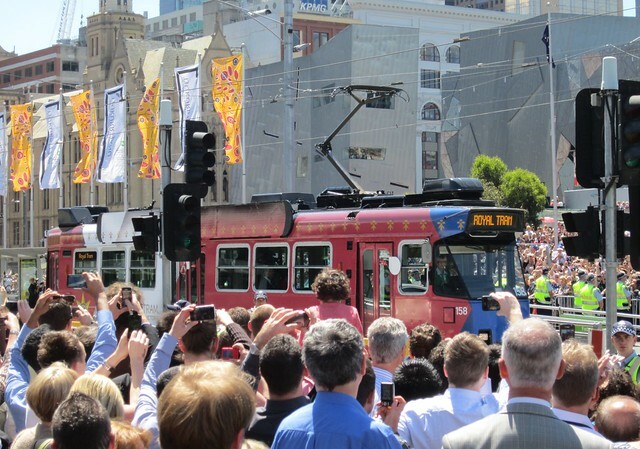 Most amusing: Channel 9 had footage that showed during the Queen’s ride, the royal tram got a Fleet Operations PA message about diverted services. It is by appointment to Her Majesty the Queen of Australia, possibly in right of Victoria, not Her Majesty the Queen of the United Kingdom. Daniel, I think you’re taking your blog-readers for a ride. 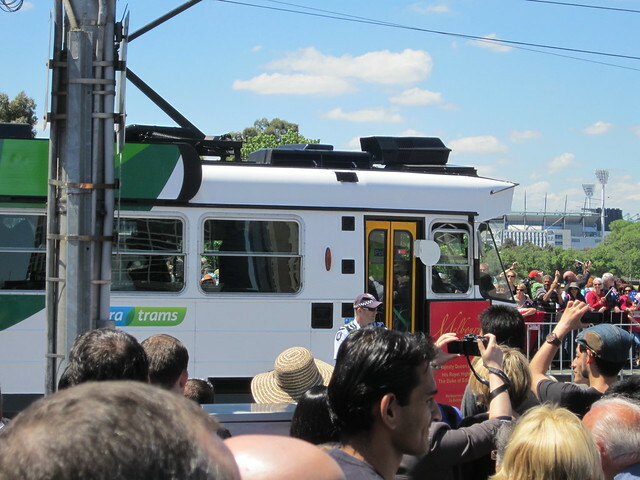 Daniel, is there a reason this particular tram was used (i.e. does it have some historical significance), and not a modern, low floor one? @LJ, the ABC story I linked to said the Palace chose which model. On the bright side, it means maybe the mainstream have figured out what a Z-class looks like! I’m curious if they installed a metcard machine on the tram when the renovated it. I’ve seen the fleet slowly getting the new upholstery etc, I think an A Class was the first one I noticed on Route 48. I read somewhere (I thought it was here?) that last time she was here, she rode a Z class and she wanted to ride the same model of tram again. @Alexander, as far as I know, the Queen of Australia ( or the states of Australia ), does not do that “by appointment” stuff because she doesn’t have a household here and doesn’t buy cigars or mineral waters or pheasant pies or shooting brakes here.